Getting websites made from scratch can be a long and costly endeavor. Perhaps this is the reason why website builders such as Wix and WordPress have such enormous popularity. Choosing a website builder that suits your short-term and long-term goals is a crucial decision, and the differences between Wix and WordPress make that choice even harder. Wix is one of the most popular website builders available, and for good reason. Anyone can just go to the Wix homepage, sign up for free and have a website up and running in a matter of hours. What’s more, nearly all of Wix’s pre-built site templates are very well designed, so the website won’t look like it’s been made at a cost. The free website’s intrusive advertising can be removed by purchasing the service’s premium subscription plans, which aren’t really that expensive (more on that later). WordPress is in a different league when it comes to popularity. It powers almost 20 million websites across the globe, which is almost 6% of all sites that exist today. What’s more, as a site builder, it is completely different to Wix. And perhaps the biggest differentiating factor between them is that while Wix is a fully-hosted software-as-a-service (SaaS) product, WordPress is fully open-source. That means it is available for anyone to use and customize, for free. 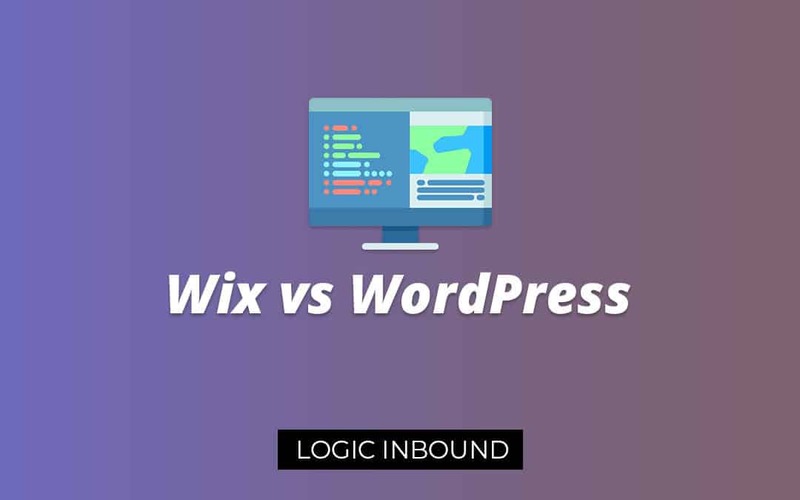 So why then, are we comparing Wix vs WordPress, two apparently different online products? That’s because if you’re looking to build a website on your own, Wix and WordPress are bound to come up in the list of considerations. 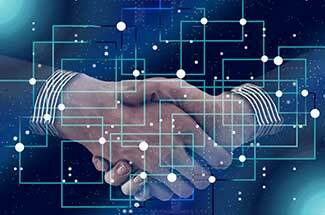 But they function in widely different ways, and that is why it’s important to analyze the differences between them and what they have to offer to you, the end user. 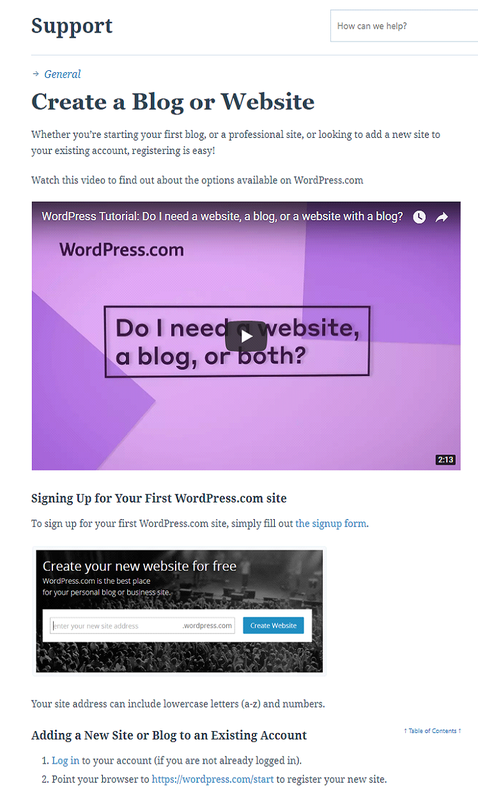 Note: In this post we’ll be talking about the self-hosted version of WordPress, WordPress.org. Which is More Affordable Wix or WordPress? Ease of Use – Is Wix Easy to Use Compared to WordPress? Website design has a great influence on its visitors. A website with an attractive and user-friendly design will retain its visitors better, as they can use it with ease and without any disruptive elements. A badly designed website meanwhile will make a bad first impression, and will contribute to an increased bounce rate, which also means that the site’s SEO performance will suffer. 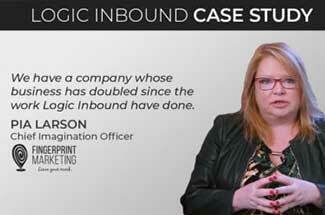 No amount of marketing and SEO efforts can make up for a badly designed website. Choosing a template then, should be done after comprehensive research from the various design options available. Going with the most attractive template isn’t the only reasonable decision either. 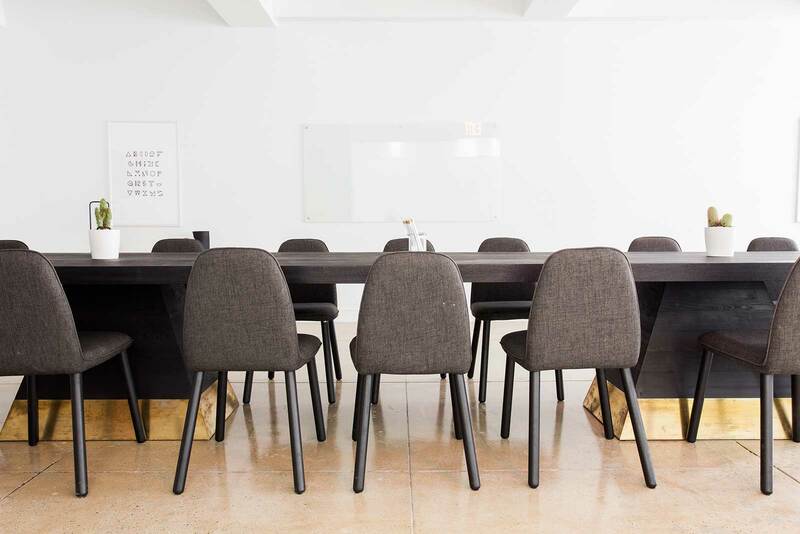 Carefully examine your target audience and what their expectations from your website might be, and then choose a template that will fulfill those requirements. Wix offers a selection of more than 500 professionally-designed templates to its users. The templates cover a broad range of website niches and have been made with modern design principles. The Wix template store allows you to filter templates based on category, so you only have to browse through the templates relevant to your website’s niche. From a design perspective, most of the templates offered by Wix are hard to fault. They’re not outdated by any means, and have been clearly designed according to modern trends. The niche selection is also quite extensive, so you’ll find exactly what you’re looking for here. What’s more, these templates are just the starting point. With Wix’s brilliant site editing tool you can change and customize the structure and design of these templates to take on any form you want. We’ll talk about the capabilities of the site editor in detail in a later section. The only drawback to Wix’s template system is that when you install a template, it’s locked down to your website. Meaning, you cannot change your site’s template later if you want to go for a different look. This isn’t a deal breaker by any means, since design overhauls aren’t really advisable for websites. But still, the emphasis is there to really pick a template after thorough consideration. WordPress offers its users a selection of more than 3000 templates, easily beating Wix when it comes to numbers. But that’s not the end of the story, because these templates haven’t been designed by the WordPress team – most of them come from third-party developers. And this is the reason why there’s no consistency in design and quality in the templates offered on the official WordPress website. 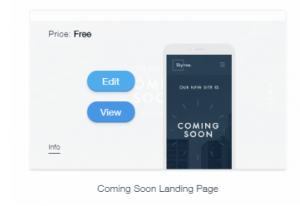 Some templates do have top-notch design and will work great regardless of the device they’re being accessed on (mobile responsive), but you’ll have to browse through a lot of templates to find these. The filtering system isn’t as comprehensive as Wix’s either. You can filter the templates based on simple characteristics such as layout, features and subject. It is a good filtering system but you’ll be spending a longer amount of time finding a template which suits your site’s niche. The customizability of these themes will also vary. Some developers give users a lot of control over the look of a template, but again, this will depend on the developer. 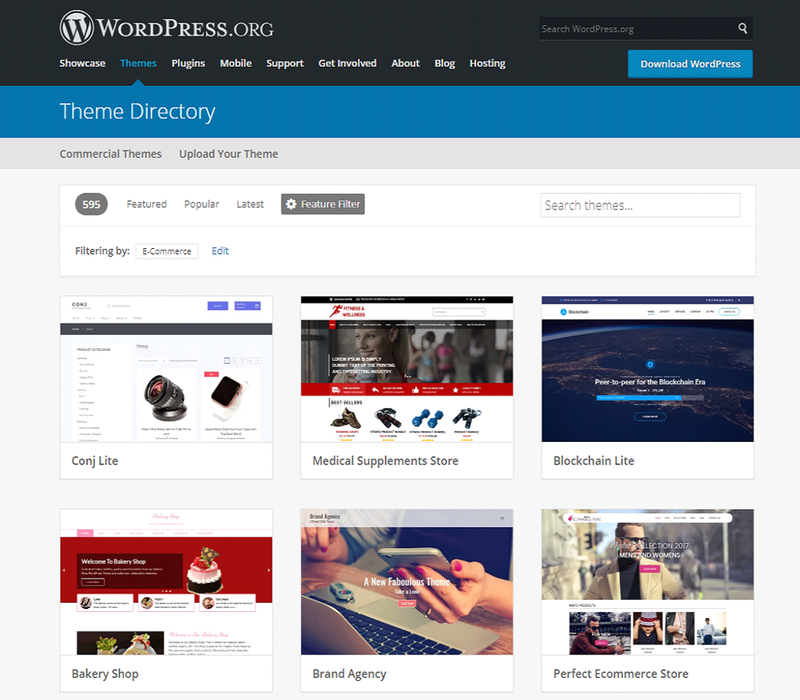 Because of WordPress’s open-source nature, many third-party companies have sprung up that offer their own template designs for the platform. The most notable of these are Theme Forest and Template Monster, which collectively offer more than 12000 different templates. So if you find the official WordPress template selection to be limiting, there are plenty of other choices available. If you’re comparing Wix vs WordPress on the basis of themes, Wix has a clear advantage since you get a lot of high quality themes for free, regardless of which Wix price plan you sign up for. It’s normal to run into issues with your website from time to time. But when that happens, access to responsive and helpful support services can be extremely useful. Website downtime will usually result in lost revenue and a negative impression on visitors. Wix offers online support for all of its paying customers. All subscriptions include access to phone and email support. But keep in mind that online support is only available during specified timings (Monday through Friday from 5am to 5pm PST). A glaring omission in this area has to be the live chat support. Many users prefer to talk to a real person through chat as it’s oftentimes convenient and can do the job just as well as phone support. Also, Wix’s phone support can only be availed after scheduling a call through its support system. WordPress is completely free, and as such does not come with online support for its users. 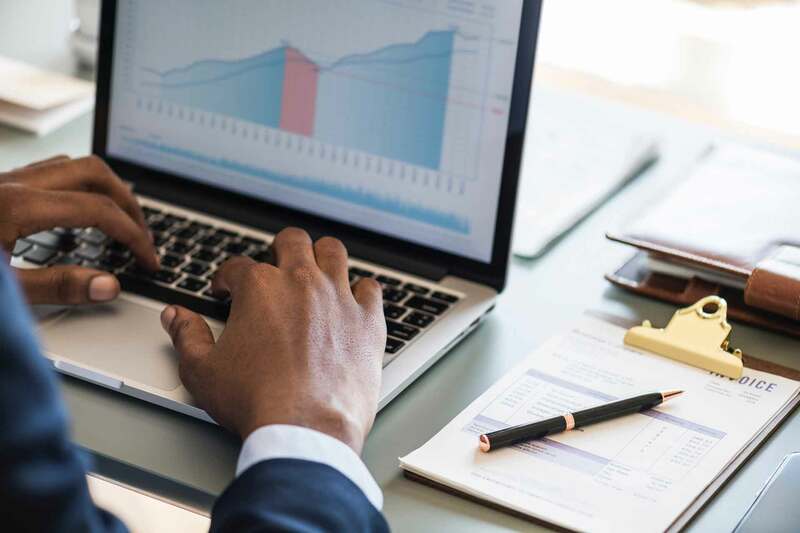 Users are expected to diagnose any issues with their websites and then turn to support documentation and forums for help in resolving those issues. Doing a Google search for any issues with your WordPress site is also an option, but proceed with extreme care as not all the search results will provide the answers that you’re looking for. In fact, it’s easy to get confused with the variety of solutions available to the same problem. If you’re not very technically-inclined, you will definitely have problems with judging the correct solution. If support is a priority for you, consider hiring a web design and development company that specializes in WordPress websites. Not only will they setup a complete WordPress site for you, but will also provide after-sales support for any issues you have down the road. Wix can be used free of cost, as long as you’re willing to have a lot of branded advertising on your website. Also, the site will have a branded web address (“yoursite.wix.com”). To get rid of these limitations, Wix requires customers to pay a monthly fee. Entry-level pricing for Wix is extremely affordable, at just $7 per month for the Connect Domain plan. 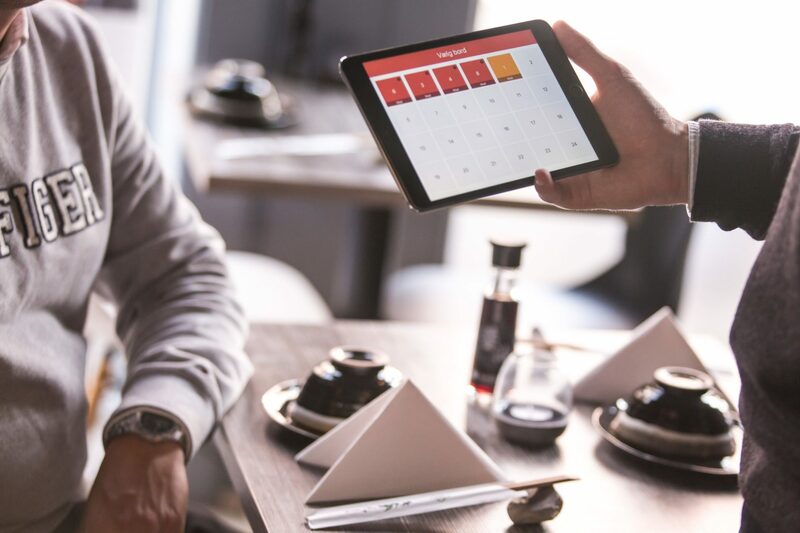 But keep in mind that this plan will only allow you to connect a custom domain, and the Wix advertising will still be displayed on your website. The bandwidth is also severely limited, at just 1 gigabyte per month. The best value in these plans comes from the $16 per month “Unlimited” plan, which gives users unlimited bandwidth and includes a domain name ($10 – $12 per year value). Users who want to have eCommerce capabilities on their Wix site will need to upgrade to the aptly named eCommerce plan, which is $20 per year. This unlocks access to Wix’s eCommerce tools (Wix Stores) and upgrades the storage limit to 20 gigabytes. All these plans include complete access to Wix’s large selection of premium templates. WordPress can be downloaded for free, but that doesn’t mean it costs nothing to run. Quite to the contrary, WordPress websites can be quite expensive to get up and running. You can get a custom domain name for typically $10 – $12 per year. Web hosting pricing will vary depending on the plan you go for. A reasonable estimate for this would be about $7 per month, or $84 per year. 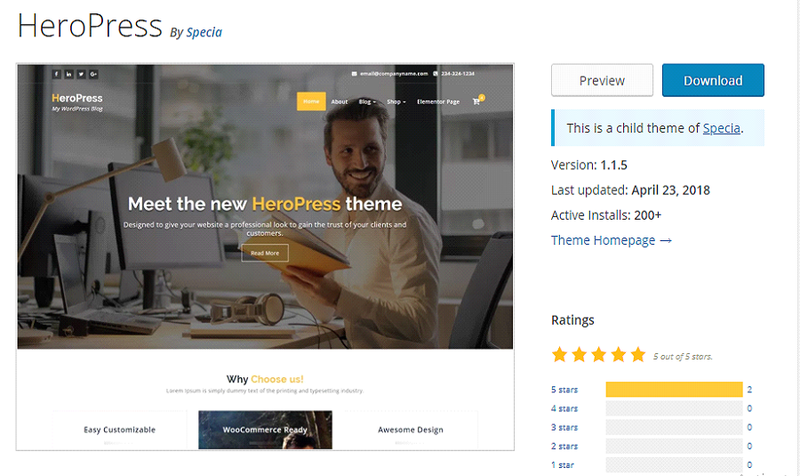 If you’re not satisfied with the templates available on the official WordPress website, you can go for ones available on third-party marketplaces such as Theme Forest. Premium templates usually cost around $30 – $80 depending on the quality and features. This is where things start to get expensive. If you’re not very handy with internet tools, you’re very likely going to need the help of a professional WordPress developer. There is great variance in the costs involving developers, but expect to pay around $200 for even the cheapest of freelancers. We recommend firms that specialize in WordPress design and development. They are going to be expensive but are more likely to deliver an error and bug free website along with customer support. The popularity of a product or service is a signifier of its success with users. But other than that, it also means that it’s going to receive future updates and isn’t going to be shut down. This is especially important when you’re considering a website builder. A platform that isn’t popular is more likely to not receive constant patches and updates, making it vulnerable to security attacks. Fortunately, both WordPress and Wix are tremendously popular and have a long history. But which is more popular? Let’s have a look at the numbers. Wix currently powers around 2.2 million websites across the web. That’s an impressive number, but it’s nothing compared to WordPress. That’s because WordPress powers more than 19 million websites, completely dwarfing Wix when it comes to popularity. And that’s just part of the story. 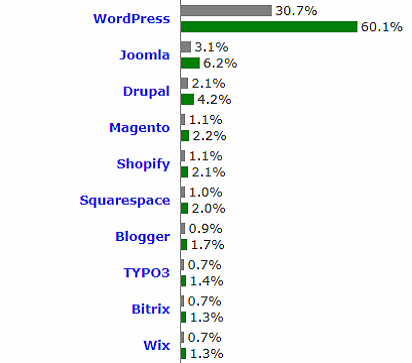 According to Builtwith, more than 26% of the world’s top 10,000 websites are built using WordPress. Wix is way, way behind with just a 0.2% share in the same area. Wix is a publicly traded company, meaning you can actually buy shares in it. It generated $296 million in revenue in 2016. Automattic, the company that owns WordPress, reportedly generated revenues of around $50 million. This doesn’t really match up with WordPress’s popularity numbers but you have to realize that WordPress isn’t a paid product. Sure, the company has introduced paid hosted WordPress plans but they clearly aren’t generating enough user interest. Still, with websites such as CNN relying on WordPress to run, it’s difficult to imagine the platform shutting down anytime soon. Plugins provide a hassle-free way of adding functionality to your website as the requirements grow. This is an overlooked aspect of website builders but that doesn’t diminish its importance. Without plugin support, you will have to rely on expert help in getting the features necessary for your website. Or in the case of closed source site builders (Wix and Squarespace, for example), you will just be limited to the core features, with no possibility for further enhancements. 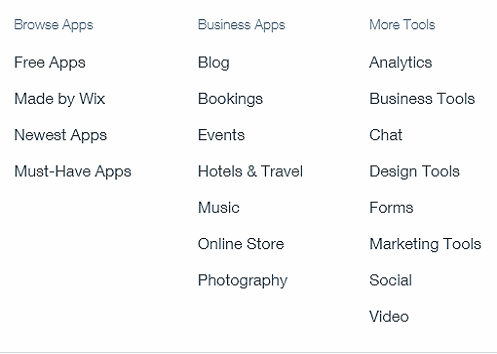 Wix calls its plugins ‘apps’, and has a dedicated App Market where you’ll find more than 250 of these apps available. The app selection is surprisingly diverse, and offers functionalities catering to different website niches. The App Market itself is very well-designed with an ‘inviting’ interface that is easy to navigate around. 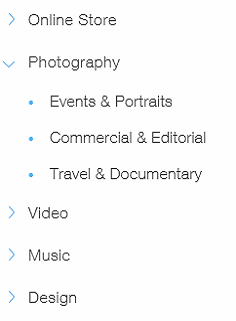 Apps can be filtered by categories and there are a fair amount of options in each category. Many of the apps have been developed by Wix themselves, and are thus made to a high standard. The third-party apps are also kept in check with strict controls on code quality. The great thing about these plugins is that they can be installed with literally the click of a button. The ones made by Wix get support from the company itself, while for third-party plugins you’ll have to check the plugin details for support information. Owing to WordPress’s popularity, plugin support for the platform is really strong – 44000-plugin strong. The number of plugins is certainly impressive, but in practice this is hardly of use. For example, a simple search for “forum” will yield more than 4000 plugin options. But which one of these plugins is the best? Which one will work best for your purposes? Which one will not completely break the code of your website? These are important questions that need answering before you decide on integrating a plugin to your website. Of course, this is no easy task for the average user. Usually the best way to search for useful plugins is through Google. But even then you’ll be faced with multiple choices of plugins that do the same job. And again, it is advisable to consult a WordPress expert to help you implement the plugin in order to keep the integrity of your website in check. This is not to say that there aren’t any useful plugins for WordPress. In fact, quite the contrary is true. Yoast SEO is widely regarded as one of the best SEO optimization plugins around, and it’s considered a core plugin for every WordPress website. So good plugins for WordPress exist, but you’ll have to do some thorough research to find them. Platforms with a robust feature set are not completely reliant on apps and plugins to make up for shortcomings. More features out of the box means lesser time spent looking for plugins and implementing them on your website. WordPress is a world-class content management system. It gives users a lot of control over how they want their content to be displayed on the website. But still, users looking for even more control in the pursuit of SEO optimization are advised to go for the highly regarded Yoast SEO plugin. Wix generally fares well when it comes to SEO because it allows users to modify the page title, alt attributes and page URLs. It does have its weakness – for example, you cannot change the file names for images once they’ve been uploaded. 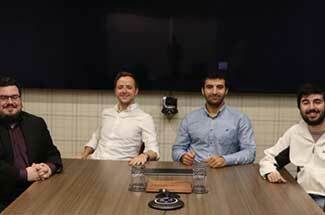 Wix will give them an inexplicable name which consists of a lot of random numbers and alphabets. For photographers, this could be a problem. WordPress has made a name for itself for being the go-to platform for bloggers. But there’s a reason behind that -this is possibly the best blogging platform out there. All blog-related tasks can be done effortlessly with the easy to use interface. Tried and tested plugins like Yoast SEO only enhance the content optimization capabilities of this platform even further. If blogging is your website’s primary purpose, WordPress is the best platform for the job. Wix has a pretty well thought-out blogging feature which allows users to quickly and easily add a blog section to their website. Common tasks such adding posts are done easily though the intuitive interface and there’s support for content tags and categories. Wix users who want to setup an eCommerce website will have to opt for the “eCommerce” subscription plan. 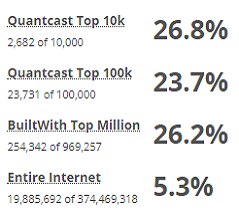 But can a normal site builder be any good at eCommerce? In Wix’s case, the answer is yes. It doesn’t enjoy the popularity or developer support of popular options such as Shopify, but it does get the basics very right. Users can add an unlimited amount of products and there are 65 eCommerce-focused templates available on the Wix store. WordPress users have a number of plugins to choose from which will help them build an eCommerce website. WooCommerce is the most popular eCommerce platform out there and it runs entirely on WordPress. The accessibility of a product can in many cases depend entirely on its ease of use. In Wix’s case, that certainly has been a factor for its popularity. 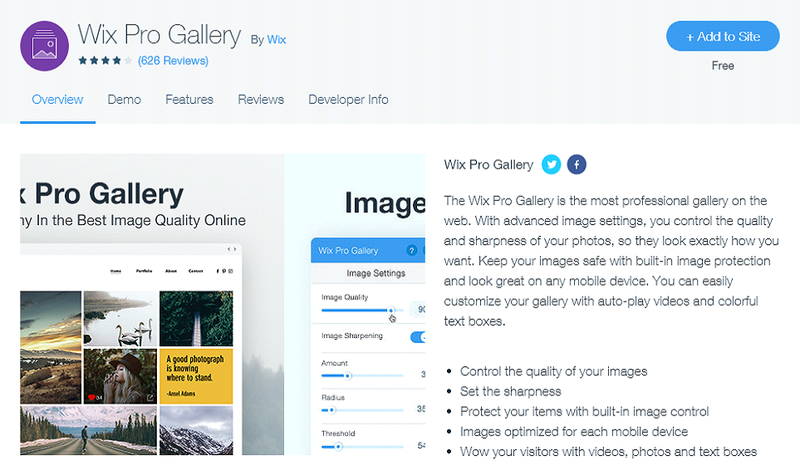 The Wix site editor lets anyone create beautiful and functional websites in mere hours. WordPress though, has a steep learning curve. Not only is the task of getting it up and working a technically challenging one (for non-developers), but figuring out how to deploy themes and configure plugins and setup site pages can take an awful lot of time. Let’s take a deeper look at some of the crucial areas where ease of use matters. Go to the Wix templates page and find a suitable template. Once you’ve found one to your liking, click on Edit to get started. At this point, Wix will ask you to login to your account or create a new one. If you’re a new user, fill out the registration form and you’ll be taken to the site editor. You’ll be greeted by a Youtube video which shows you a brief introduction to the platform. Close the dialog if you’re not interested. That’s it, from here you can start working on your website. Extract the contents of the downloaded zip file into a folder. Login to your web hosting control panel. A web hosting plan is required to do this. Navigate to the file manager within the web hosting control panel. Upload the extracted contents to the root directory. The wizard will ask you some technical questions like the name of the MySQL database you’re using. Go to the web hosting control panel and check the databases section. You’re going to need a MySQL database for this. 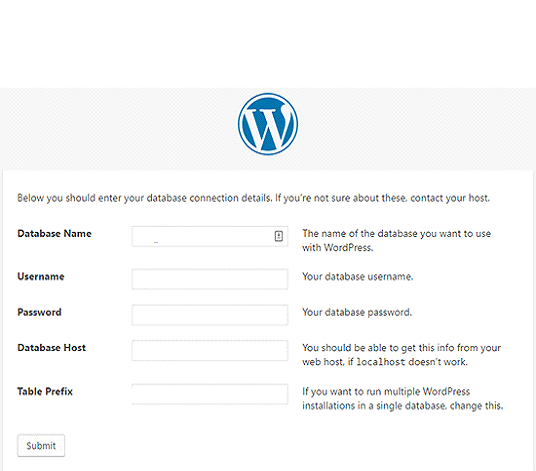 Click the Submit button and WordPress will try connecting to the database. If everything is in order, you will be notified of a successful database connection. On this screen, click the “Run the Install” button. You will then be required to fill a form containing important information regarding your website. Fill out the information, and only use a valid email address. 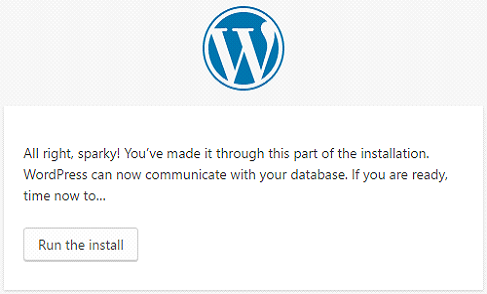 Click on Install WordPress and the installation wizard will take care of the rest. 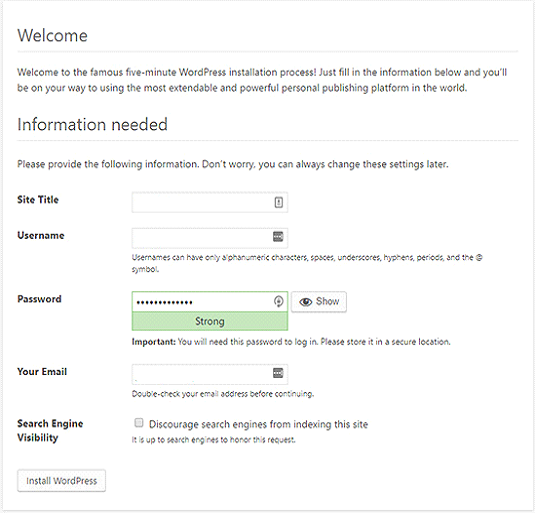 As you’ve probably guessed, setting up a WordPress website is not an easy task. In fact, it’s downright technical due to the involvement of setting up databases and accessing your hosting panel. Wix says that it has the “world’s most innovative website builder”. That’s quite a claim, and in practice the editor does prove to be quite extensive in its functionality. Let’s start with ease of use. Everything in the editor’s live view of the website can be interacted with. This is a true drag-and-drop editor, where you can simply drag elements to where you want them to be. The whole process does take a little time to get used to. But once you get the hang of it, the Wix website editor provides a lot of room for customization. There’s even a mode called “Developer Tools” which allows for advanced, code-based modifications and additions to a website. It really does seem that Wix is leaving no stone unturned when it comes to customization options. The WordPress website editor is decent, but it isn’t as advanced as the Wix editor. It provides a reasonable amount of customization options and displays a live view of the website. But there is no drag and drop functionality to be found here. There are WordPress plugins which allow users to build websites through drag-and-drop like Thrive Architect, but they’re paid plugins. Competitively priced, affordable subscription plans. Selection of 510 professionally-designed templates available for free to Wix users. Quick and hassle-free website setup. Selection of 250 plugins, which are closely monitored by Wix ensuring quality and integrity with the platform. Deep and easy-to-use website editor with drag-and-drop functionality. Developers can tinker with backend code using the Developer Tools feature. eCommerce store integration via Wix Stores plugin. If you’re on a budget and want to build a website yourself, Wix is an easy recommendation. It has been built for ease-of-use and can be used by non-developers to create beautiful websites. The pricing is on point and you can avail discounts if you choose to go for annual or bi-annual billing. Hugely customizable due to its open-source nature. Back-end code can be directly accessed for convenient modifications (by a WordPress expert). Strong third-party support from developers and designers. Extensive library of plugins, catering to a wide range of functionalities. The reasons for choosing WordPress over Wix aren’t many, but they’re the ones that will matter. Setting up a WordPress website requires significant investment of time and money. But if you absolutely need full control over customizations, WordPress should be your platform of choice. With the right development partner, you can have a WordPress website made to fulfill almost any purpose.